The capital of Odissa, Bhubaneswar is studded with numerous ancient temples, amusement parks, lakes, and many more places where you can get busy in different activities. Here are some handpicked ideas for nomad souls visiting the economic and cultural center of the state. This is an annual fair, celebrating the diverse cultures of more than 60 local tribes through dance and song performances. 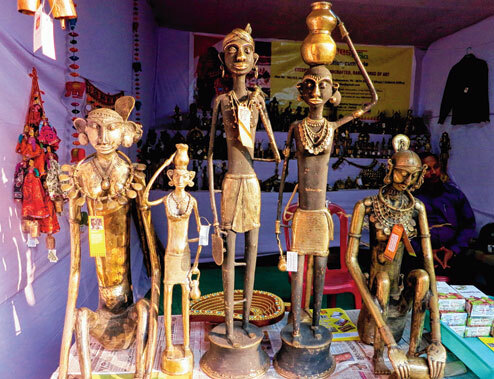 You can buy tribal artifacts and handicraft items put up for sale in the fair ground. The entire ‘mela’ or fair is decorated as a tribal hut, throwing light on their daily lifestyle. Any hired car will take you to the gate of the Adivasi Exhibition Ground, Unit-1.The location is well-connected to all other parts of the city. Buy jewelry like brass anklet of paroja, anklet of gond, khadu or brass anklet of saora, and brass bangle of bhuyan. 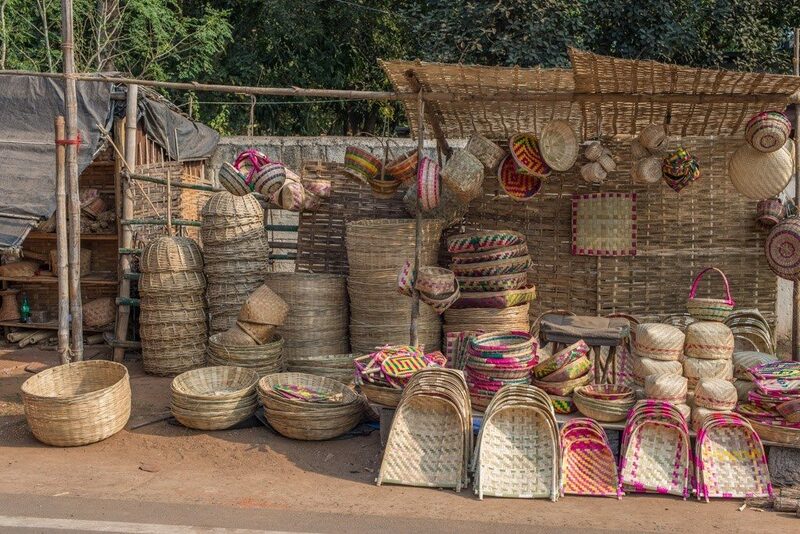 Useful items like basket and bowls made of bamboo and other products of rope and broom are also hot favorites. Decorative items of dokra, terracotta, and other materials are also available. 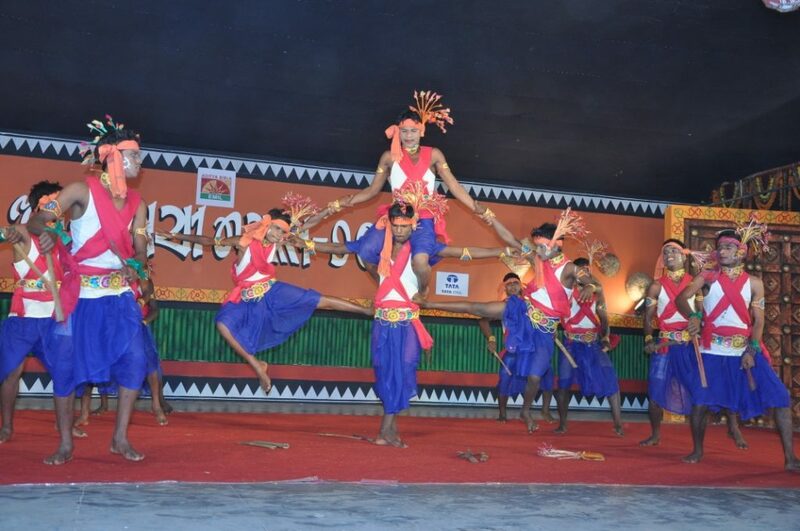 Additionally, attend tribal musical and dance performances in the evening, with Kutia Kandha dance of Belghar province, Kolha dance of Karanjia area, and Desia Kandha dance of Balliguda being some of the common and popular dance forms. Besides shopping, you can try various tribal foods at the fair. The fair lasts for 15 days straight in the month of January. However, the opening and closing dates vary each year. The price of the available products ranges from Rs. 10-50,000. 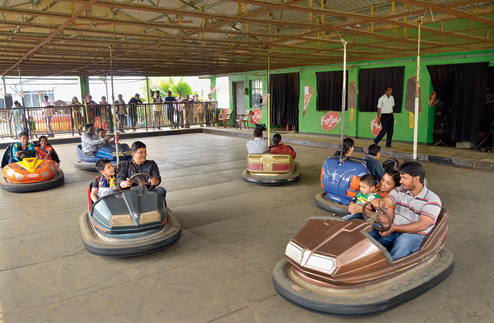 Both are located at Nicco park road, and features exciting joyrides like mini roller coaster, water chute, giant wheel, and bumper cars. 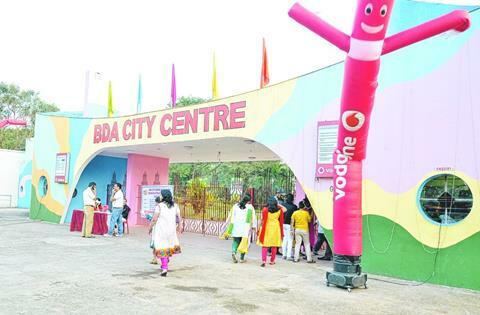 Nicco park is also maintained and supervised by BDA (Bhubaneswar Development Authority). Reach the park via Nandankanan Road and Bidyut Marg in a cab. Get your adrenaline rushing with the exciting rides, or have a casual outdoor lunch from the eateries inside the park premises. The entry fee is around Rs. 130 per head; group ticketing might get discounted and you might buy a package for all rides at once or pay for individual rides (the entrance fee includes a few rides as well). 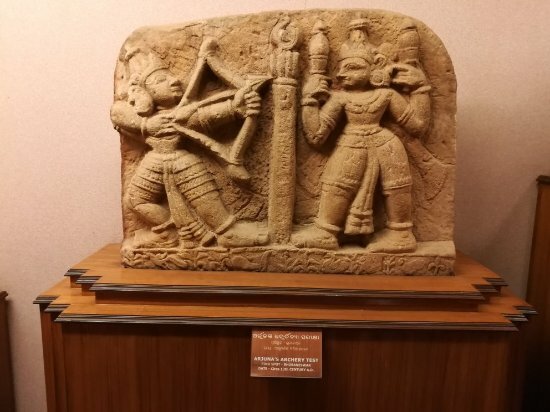 Originally started in 1932, with the endeavor of Prof. Ghanshyam Dash and Prof. N. C Banerjee, the museum was initially located at the premise of the Ravenshaw College. In 1960, the museum got shifted to its current location. It has 11 departments with each having a specific theme, like natural history, anthropology, armory, mining and geology. If you are in Bhubaneswar, take a car or cab and travel for 20-25 minutes via the Raj Path and Vidyut Marg. The frequent bus service is also quite reliable. 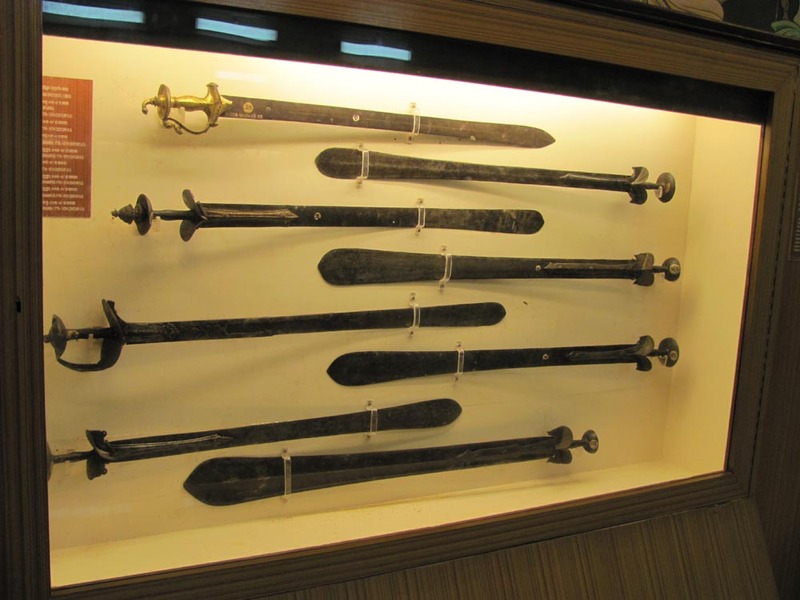 From the Bhubaneswar Railway Station, the museum is 1.5 Km away. 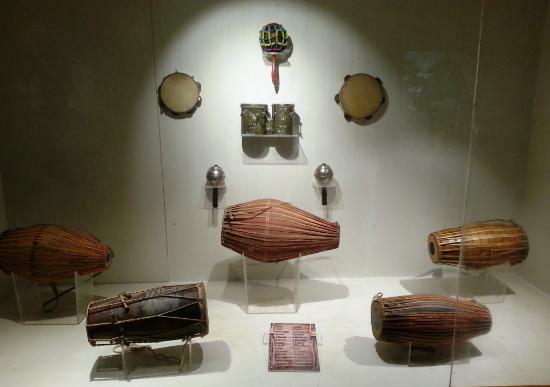 Visit the 11 sections exhibiting more than 35,000 manuscripts written on bamboo leaves, palm leaves, and ancient papers, along with wooden and ivory craft items, over 250 paintings and anthropological stuff. Other exhibits include epigraphic artifacts and patta paintings. Entry fee is around Rs. 20 per person; for foreigners it is within Rs. 100-200. A photography permit with professional cameras would cost you around Rs. 100, while for amateur cameras and mobile phones, it doesn’t cost over Rs. 10-20. You would need around 4-5 hours to cover the entire museum. So carrying a water bottle is necessary. There are chairs and benches so people can take a break in between. However, toilet facilities are not up to the mark. 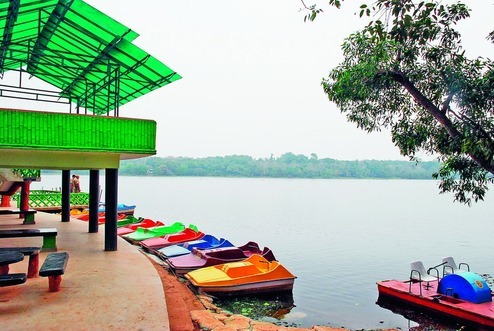 Covering around 190 acres, the lake is located in the environs of Nandankanan Zoological Park and Botanical Garden. It is a natural lake housing diverse species of animals (amphibians, fish, and reptiles) along with numerous aquatic plants (macrophytes). In 2006, this lake was crowned with the title of ‘Wetland of National Importance’. Around 20 boats are there for rental purposes. To the south of the lake there is the zoological park while to its north is the botanical garden. Nandankanan Road is well connected by bus, auto, and hired private cars. Small boats have a seating capacity of 4 people and costs around Rs. 100. Medium-sized boats can accommodate 8 people at a time and the fare is nearly Rs. 70. If you rent a family boat, that will cost you almost Rs 150. 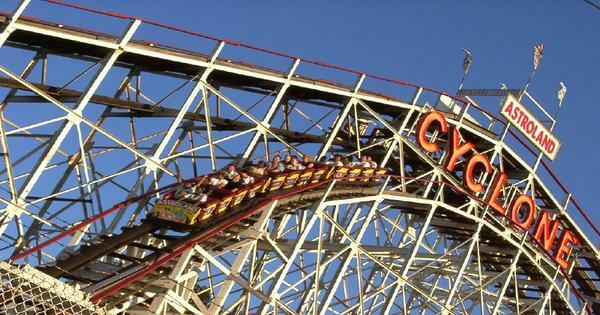 The duration is around 30 minutes for each ride. Contact local authorities for details about scuba diving. This is the largest temple in the city, and also one of the oldest, exhibiting the Kalinga Architecture. Dedicated to Harihara, a fusion of Lord Shiva and Lord Vishnu, this temple houses a ‘Linga’ that is believed to have emerged on its own, symbolizing both Shiva and Bishnu. The temple authority accepts puja or offering from devotees. You may hire a taxi, or opt for an auto/bus to reach the Rath Road where the temple is located. 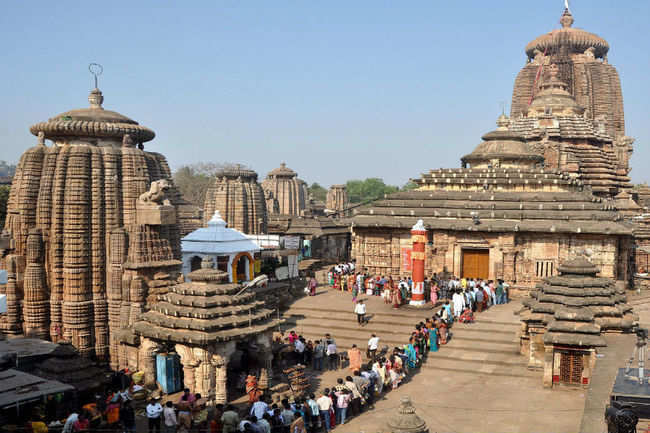 Visit the four sections the temple – the Vimana (consisting of the sanctum), Jagamohanathe (the prayer hall), Bhogamandapa (the hall of offering), and the Nata mandir (the festive hall). Only Hindus are allowed inside the temple. There is a platform in front of the temple meant for non-Hindus so they can get a good view of the whole place. There is no entry fee. The temple remains quite crowded during religious festivals like ‘Rath Yatra’, ‘Maha Shivratri’ and ‘Chandan Yatra’. If you wish to give puja, then talk to priests or the temple authority only (as there are many unofficial panda that may ask for additional payments). Early morning is the ideal time if you want to explore the temple peacefully. Shoes, cameras, and phones are not allowed inside the temple. There are some restaurants nearby where you may have a late breakfast after offering puja. The zoological park harbors more than 150 species, including some endangered animals like Asiatic lion, white tiger, Indian pangolin, and so on. The zoo breeds white tiger, black panther, and gharial, in addition to being home to a number of reptiles and fish. It is located within the vicinity of the Cahandaka forest including the Kanjia lake. There is an Orchid House inside the zoo. Within 1km of the zoo, there is Barang Railway Station, but if want to travel in a car then hire an app cab or a regular one. It might be a good idea to cover the zoo and the Kanjia Lake in the same day. A lion safari, bear safari, and herbivore safari are prime attractions, along with seeing white tigers. You can see 150 species of orchid in the Orchid House, visit the walkthrough aviary, and check into the library having around 3,000 books on wildlife. Each different animal has a certain feeding time when the visitors can learn about the characteristics of the animal from their handlers, which can be an enriching experience. The zoo lets you adopt any animal you wish as well. Entry fee is Rs.50 per person and Rs.10for kids within 3 to 12 years. 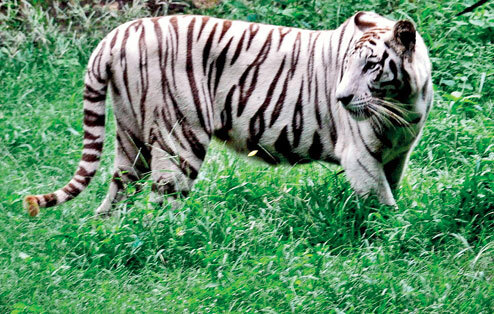 There are battery operated cars for travelling within the zoo, costing around Rs 50 per person for one hour. If you book a small 8-seater vehicle the price will be nearly Rs 500 (per hour). For a big car with a capacity of accommodating 14 people at a time you have to pay around 750 (per hour). Visiting the aquarium and aviary doesn’t cost anything. There are food joints, a souvenir shop, baby care and wheel chair facilities. 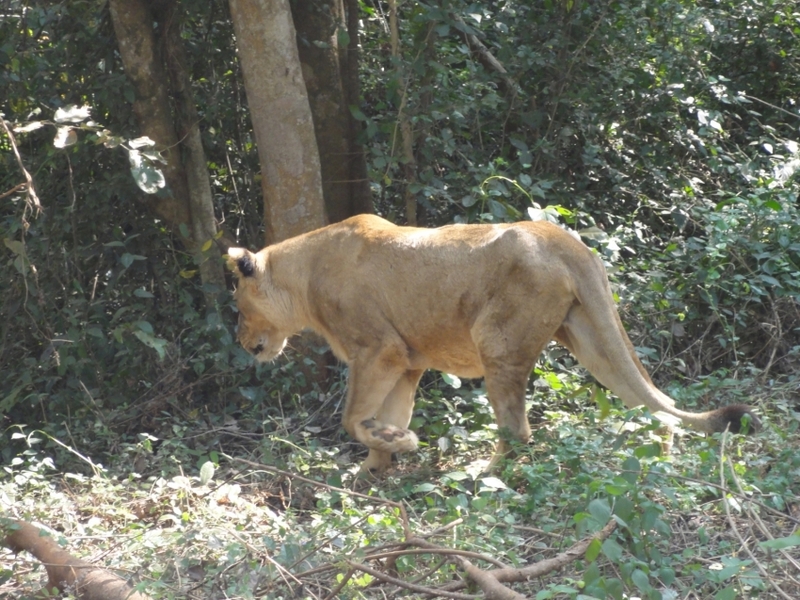 The four safaris take around 45 minutes to cover and cost approximately Rs. 60 together. For using handy cameras you need to pay Rs. 100; for high-end video cameras and movie cameras charges are Rs. 500 and Rs. 4000 respectively. There are tourist cottages available for rental purposes, with the larger ones costing Rs. 300, and the smaller ones rented at Rs. 200. For toddlers, there are perambulators available free of cost. April-September 07:00 am-05:30 pm and October-March 08:00 am-05:00 pm. 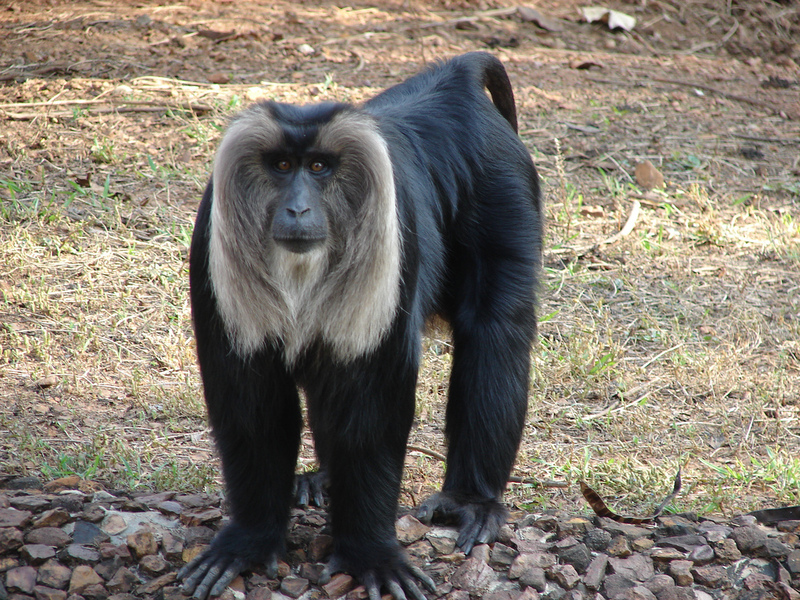 Both the zoo and botanical garden remain closed on Mondays. Thus, you will never have a dull moment while you are in Bhubaneswar. If you are still looking for some more activities, just put your traveler’s hat on and visit the Udaygiri and Khandagiri Caves. 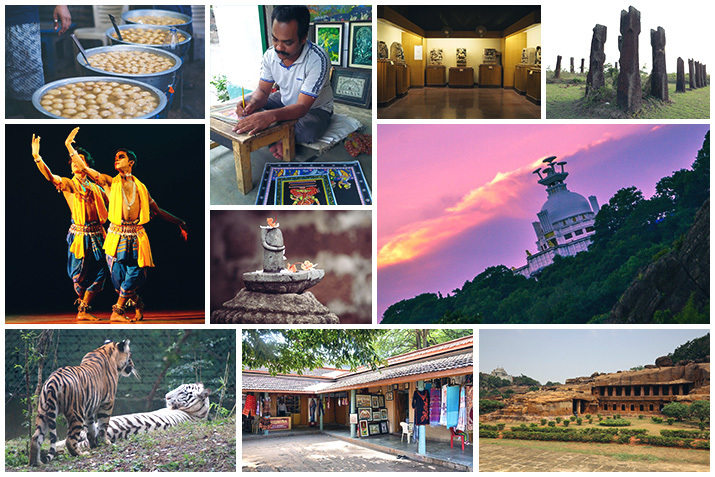 The Dhauli Hills are also located within 8 km from the city where there is an old Buddhist Monastery.